Our year kicks off with the boat show at the Agricenter in Memphis. 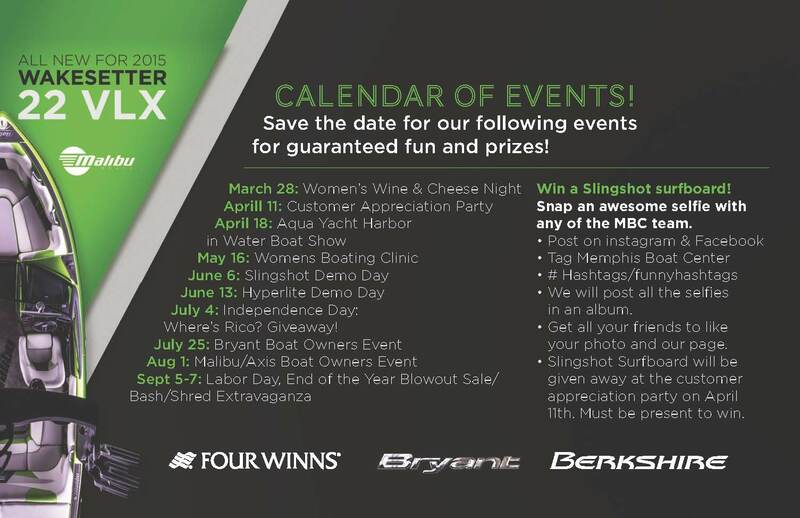 Be sure to come and check out the best boats in the industry as well as enter for a chance to win a Slingshot Surfboard! Third: Hashtags! 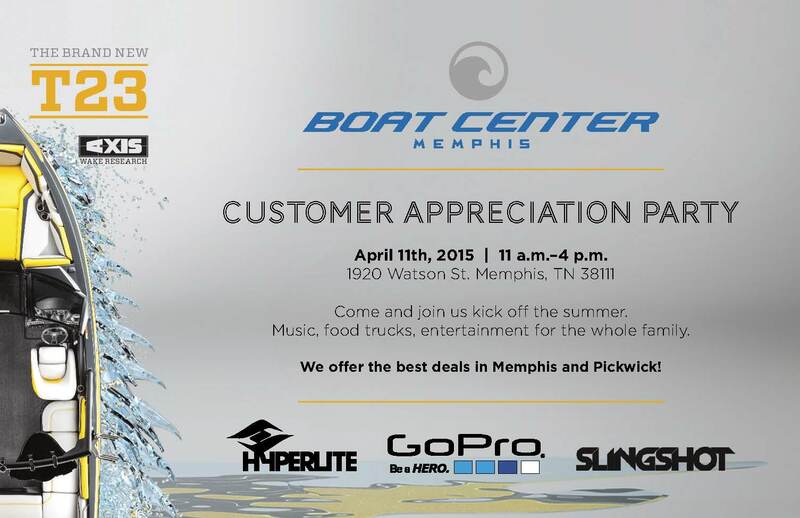 Be sure and use #Memphisboatcenter as well as other fun and exciting hashtags! Fourth: Your picture will be added to our Slingshot Selfie Surfboard Giveaway album on facebook within 24 hours. Contact our event GURU Enrique.Martinez@memphisboatcenter.com for more information. Remember to come see us at the Boat Show! We will be available to give you a hands on experience so that you can enjoy our boats in a unique and interactive way. You will have the chance to see how Malibu’s Surfgate and Power Wedge technology works, as well as a glimpse into the future of our industry. click on the pictures below for a preview!